Player reps from around the globe meet in Nyon to discuss the future of a global athletes voice. The process to create a global body representing working athletes from around the globe started in November of last year. Now a group of volunteering representatives of player associations and unions from all continents met at the UNI Global Union head quarter in Nyon, Switzerland. 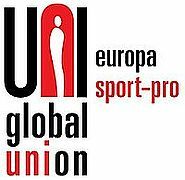 Amongst the participants were representatives from the Australian Athletes Alliance, FIFPro, the NHLPA and SICO, the NFLPA, UBE, IRPA, FICA, the Japanese Baseball Players Association and of course our hosts UNI Global Union Sport. Issues for discussion were Anti Doping, Integrity in Sports and more.